Happy New Year to you all and I hope everyone had a great holiday break! It’s been a fantastic break for geeking out and playing games! Steams Winter sale continues to rumble on and I’ve picked up a couple of games, one of which is Northgard an RTS city building game inspired by North Mythology. It’s currently in early access and I’ve been keeping half and eye on it for a little while to see how it’s been doing and it’s being very well received. At the moment there is only really a skirmish mode where you can play either single player against AI or multiplayer with a mixture of AI and others players. As you might expect with it being an RTS you start out with one building and a few villagers and have to work your way up from there gathering resources from the surrounding areas. 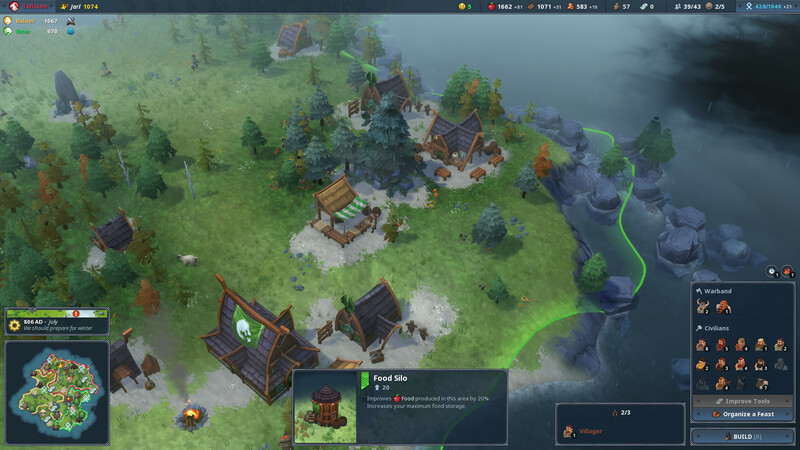 But what is a little different about Northgard is that you can only a build a handful of buildings on each ’tile’ or territory that you control, so you’ll have to explore and take over adjacent territories in order to be able to expand your village. The surrounding tiles can all offer differnet benefits, some have a lake where you can set up fishing huts for food, others have stone and iron deposits, whilst some may be occupied by beasts that will need to be slain. It’s an interesting little mechanic and one that I actually really like as it means you have to plan which areas to take over to best suit your plans for victory. 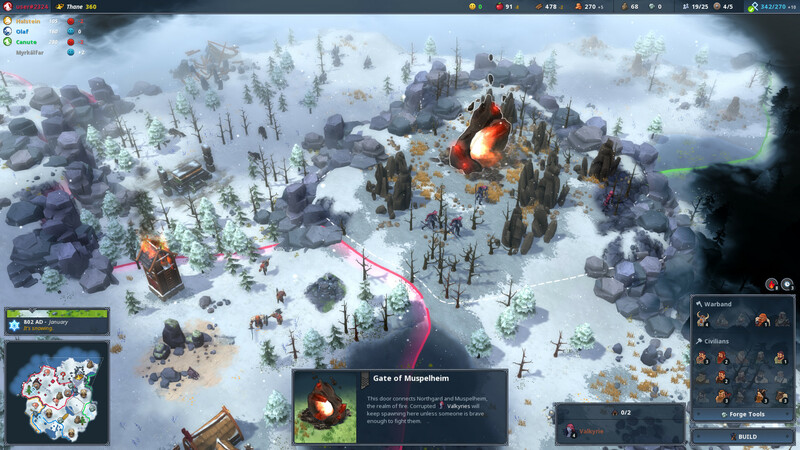 There are multiple paths to gain victory in Northgard, you can simply wipe out all enemies, you can craft Odin’s sword from fiery Lava pits, you can become a renowned trader and trade your way to victory. There are a lot of options for you and this gives you a lot of ways to play the game. You will also have to contend with the seasons changing and the effects that it will have on your people. When the harsh winters hit you’ll have to have enough food stockpiled to last the cold months as production and gathering of food all slows down. Your soldiers will be less effective in combat out in the wilderness when it’s cold too. But fret not as you can gain upgrade perks that will help you out with the issues. In Northgard there is a lot to see and a fantastical world for you to explore with mythical monsters to fight. So far it’s been a great game and the future of it is looking good as they want to add in a single player campaign amongst other things. Season 7 competitive for Overwatch has ended and I didn’t actually get through my placement games, I kind of stopped playing competitive a little while back because I just wasn’t enjoying matching with randoms as more often than not it would end up not working out well. I kind of took a break from the game in general, but since the Holiday event hit I’ve been back on it and playing it a lot and really enjoying it again. 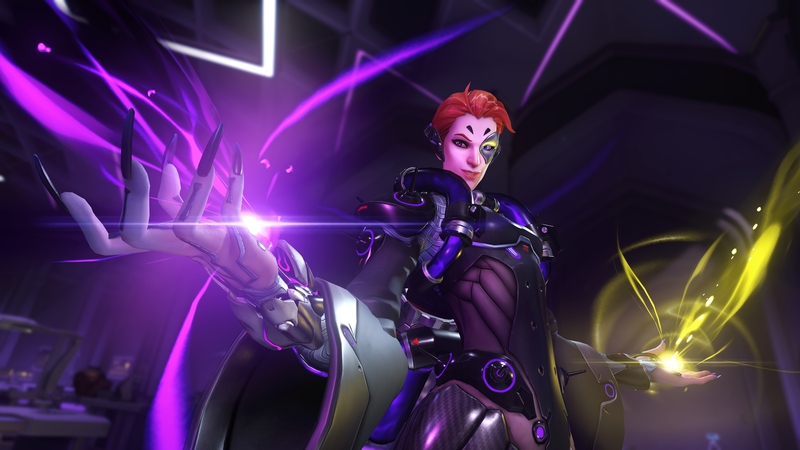 In preparation for season 8 – which is now live, I’ve been playing a lot of the new hero Moira with a view to try and ‘main’ her this season. Moira sits in the support category but she is so much more than just a support, she is extremely capable of dishing out damage and racking up the eliminations. Her Boitic orb ability can deal both damage and healing and firing it in to a crowd of enemies in a choke point can nicely chip away at their health. I’ve found Moira to be a hell of a lot of fun whilst playing her, she seems really versatile, can handle herself in a lot of 1vs1’s, she’s pretty mobile with her fade ability and can also be a very effective healer helping the team to keep ticking over. 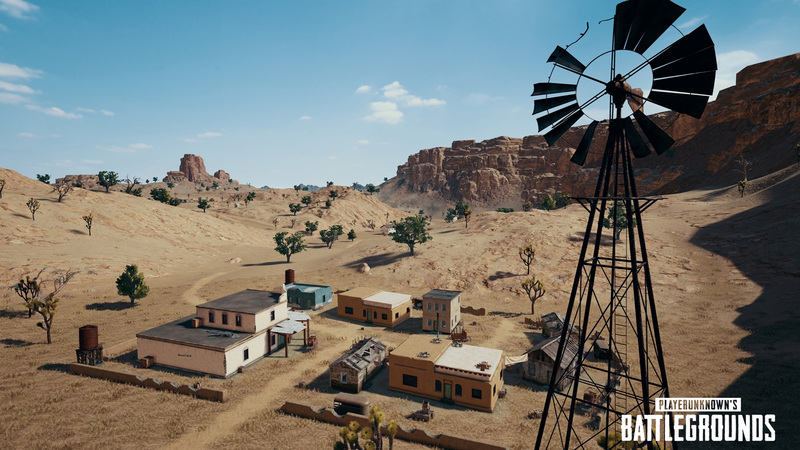 PUBG has now officially fully released with it we now have vaulting fully implemented in to both maps, we have some better performance and gone is the initial server lag that we used to see sometimes when a game first started. I was already a lover of the game before 1.0, but it’s nice that we now have a bit more optimisation to the game. One thing that got quietly added to the game, which I don’t think many people will have really, properly checked out yet is the replay system. You can now set all matches to be recorded and saved in game for you to then watch back later. It’s a really cool feature and lets you see the game from others players points of view. For example, in one game I was driving along the road and noticed a player just standing still on the side of the road next to a car looking in the air. He didn’t know I was coming and I ran him down. I was curious as to what he was doing and why he didn’t react at all, I thought maybe he was AFK. But I checked the replay and about 10 seconds earlier, he pulled up in the car and was looking around trying to locate an airdrop that was coming in, he was clearly so engrossed in finding it that he didn’t hear me coming. It was pretty funny and I was laughing a lot when I first did it, but being able to see from his point of view was really cool. I’ve only really investigated it a little bit but it seems really cool from what I’ve seen and will let content creators make some really cool videos, I’m really excited to try it out myself at some point and I hope to be able to make some cool things with it. My sister got Overwatch for Christmas, so we’re hoping to try that out soon. We just played PUBG for the first time last night. We watch a lot of YouTubers play it and finally got the chance to try it out. It’s a great game! Overwatch is really good fun, it can get a little toxic in comp though. Once you find a hero you like, you’ll love it. Can’t stop playing PUBG, love it! Yeah, it seems like a great game. PUBG will take some getting used to the controls for me. I love it, but I’m awful at it, lol. Haha, got to start somewhere! When you start getting those wins or top 10’s it gets very tense, but fun. Yes! I did make it in the teens and 20s a couple matches, but that was mostly because I run and hide a lot, lol. If it works! Sometimes just waiting it out is a good move. Don’t want to give away your position.